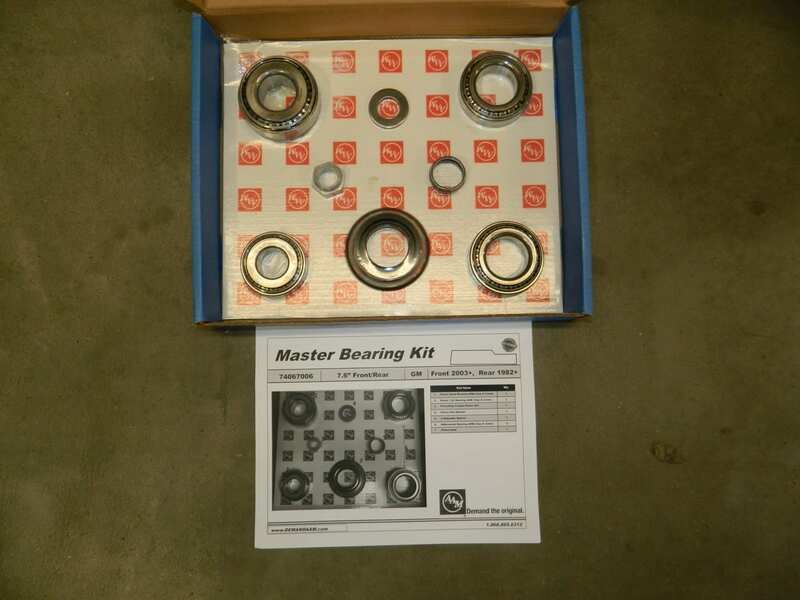 This is a genuine AAM differential bearing kit for the GM 8.0 rear differential found in Trailblazers and Envoys as well as Colorados and Canyons. 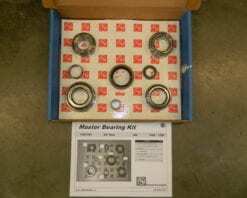 This master bearing and seal kit fits all Dodge 3/4 and 1 ton front differentials 2003 and newer with the AAM 9.25 front end. This is a genuine AAM kit. 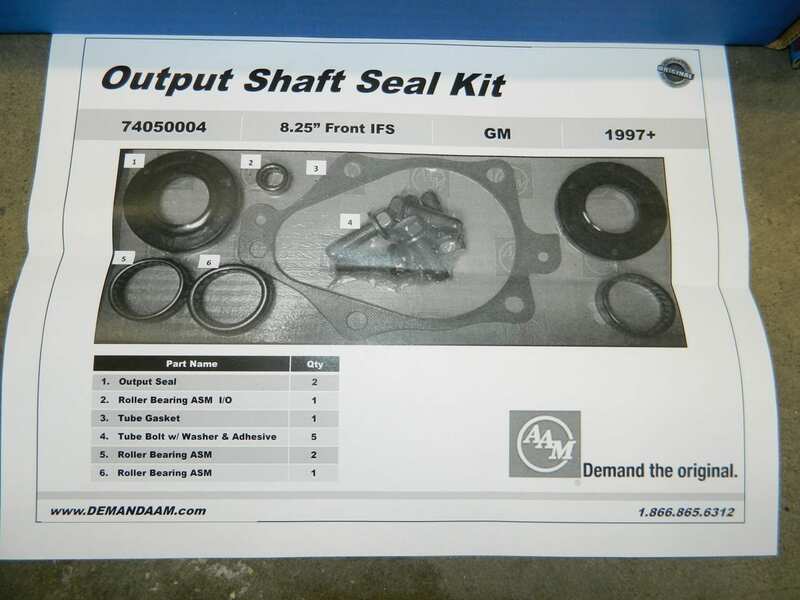 The kit from AAM does not include axle tube seals so we add them to this kit. 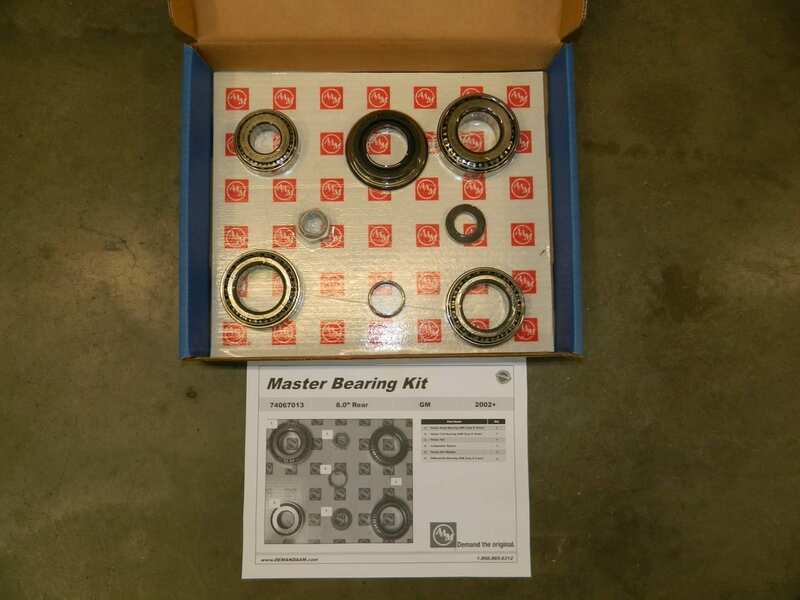 This is a genuine AAM rear axle hub bearing kit that comes with everything necessary to replace bearings and seals on both sides. 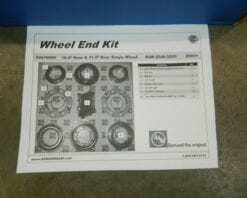 This kit fits all 2003 and newer Dodge Ram 2500 and 3500 series trucks with single rear wheels. 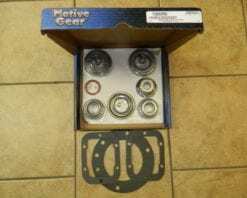 This is a genuine AAM rear axle hub bearing kit that will do both sides on a 2001-2010 GM 3/4 or 1 ton truck with either the 10.5 or 11.5 rear axle and single rear wheels. These kits are great because they have everything that you could possibly need to do the job. 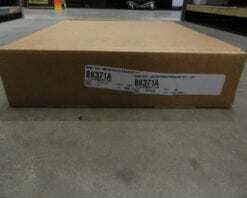 This is a genuine Dana differential side bearing kit for the Dana 70HD or Dana 80 rear differentials. 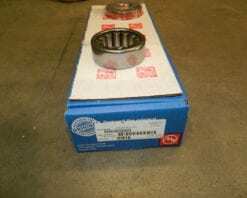 This is also used on the Ford 10.25 and 10.5 rear differentials. 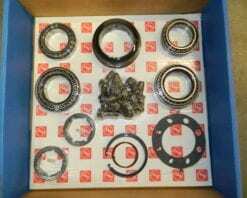 This kit includes 2 453X races and 2 469 bearings. 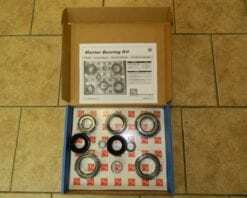 This is a genuine AAM axle bearing and seal kit for 1 side that fits 1990 and newer Chevy trucks and SUVs. This kit also includes a new c-clip for the axle. 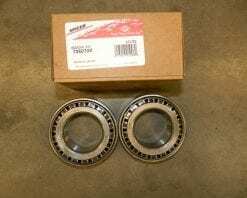 This is the same as bearing number 513067 and seal 4762N at your local parts store. 2 kits are required per vehicle.